At Sauce, we take those carefully picked beauty products to be our lawfully wedded November and December Favourites, to have and to hold, from this day forward, for better, for worse, for richer, for poorer, to love and to cherish, till novelties do us part. We are excited to share with you our monthly round-up post on the best jars, tubes, and bottles among everything we have tried and loved this month. 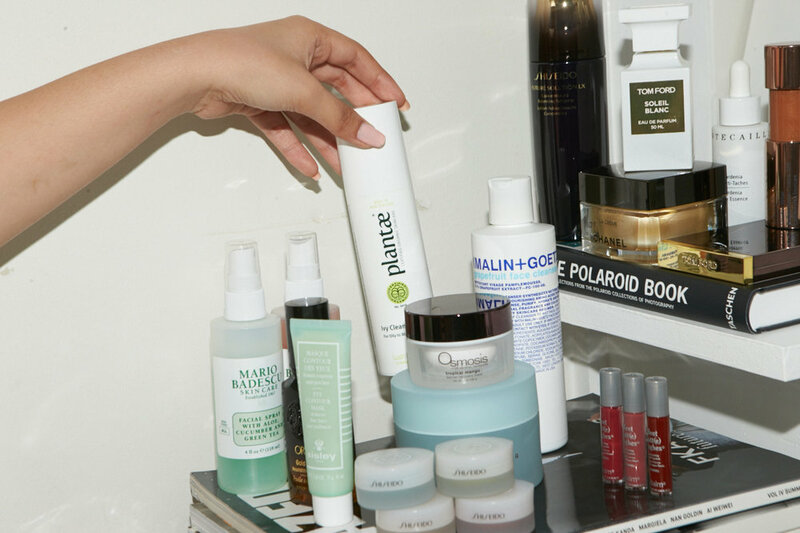 There is a bit of everything: goodies for your face, body, and hair. When wondering why New York serves some of the best facials in the world, while here in Auckland 'vampire facials' are still a novelty, the truth is New Yorkers didn't invent everything, it was more of journey enchased by talent from all over the world. Gifted cosmetologists, award-winning hairdressers and other specialists were coming to US during the twentieth century to make their big American dreams come true. The whole beauty industry was booming! Romanian-born skincare specialist Mario Badescu was one of these people who came to the States with experience in chemistry and cosmetology. Full of ambitions, he opened a salon in 1967 (and, of course, launched his namesake product line) that was mad cool, kind of unusual, affordable and immediately hit it off. Well, enough history, let's talk about our favourite summer facial spray from his skincare line. The Aloe based facial sprays are our (Sauce Editor, Zeenat Wilkinson and mine!) summer essentials. She keeps her aloe, cucumber & green tea one in her hands almost 24/7 to go through on hot days (you can see that the bottle is surely half empty) and I never take my aloe, herbs & rosewater out of my bag. It goes everywhere with me. Available at MECCA, NZ $10. Where should I start talking about you? First of all, a little lesson won't hurt anyone. It's pronounced 'OR-BAY', not anyhow else (I know, I was there myself to mispronounce it a while ago). Hair maestro from Cuba, Oribe Canales, is worth googling and reading about, otherwise some of you wouldn't be able to finish reading this masterpiece. Technically this isn't a new launch, it's an on-going favourite and a part of my "forever" personal beauty collection. "They say you shouldn’t judge a book by its cover… In our case, feel free" - that's what they say on the website. Well, I couldn't agree more. Oribe's packaging is one of the most beautiful things I've ever seen (sigh!). Nourishing Hair Oil is packed with Oribe Signature Complex (watermelon, lychee and edelweiss flower extracts) as well as other goodies: argan, jasmine and cassis seed oils and shea butter. No wonder it works, making my hair extra shiny and beautiful. I only apply a tad of it throughout my damp hair in summer and that's pretty much it—gives me heat and sun protection. Funny story, I've got a dearest friend back in Moscow (ex-colleague from Allure Magazine) who works at the beauty industry as well. Knowing how much I love Oribe (and can't ever get enough of it), she 'sponsors' my supplies. Whenever she receives any PR gifts from Oribe, she puts it aside for when I come to visit my hometown or someone is flying to NZ to see me. Lucky me, I received the latest goodie bag from Moscow. Also, lucky you, now you know what to get for my next birthday. Ryder salon in Britomart has its range in stock. Available at Ryder salon in Britomart. To be honest, I haven't tried it myself but I trust our founder and the sauciest girl, Zeenat, when she says it's amazing. This mask's purpose is to gently restore skin's lipid barrier without any irritation whatsoever. That's why Tropical Mango Barrier Recovery Mask is great not only for these with dry and dehydrated skin but also for people who struggle with rosacea or psoriasis. Mango seed butter is well known for its soothing and anti-inflammatory qualities: calms insect bites and stinging after exposure to poison ivy. Itching from sand flies, say no more. As I was writing about Syrene in our older post, the whole range of skincare is having Maricol S as a base —a marine collagen collected from the Pacific Ocean. It is a mask that I come back home to after a day well spent under the sun (I've become such a beach bum lately). I apply Aqua Hydrating Masque overnight for the best results and let it soak into my dry-ish skin, waking up all pumped and pampered. Hola, pretty! A vibrant cream eye color with a translucent-yet-matte texture, they say. I am trying real hard to control myself and do not describe every item as a summery one but guys, look at this, isn't it perfect for the summer season. These Shiseido Cream Eye Color Eyeshadow shades are screaming to put them on with a floral print dress or a classic high-waisted denim shorts and a white shirt. I can't neglect the fact that this Asagi Blue will look awesome matching the blue sky, and blue eyes, and blue diamonds (well, forget the latter). The key point: it will stay with you (or should I say on you) all day long with no creasing or smudging all over your eyes (face). Another gem from my beauty cabinet that I wanted to share you, our dearest readers. I wouldn't be the first to tell you how important it is to take care of the skin around eyes as it is extremely thin and gentle. No usual moisturisers will do and this is a fact. We've all been there when we wake up barely able to open our eyes because of how swollen they are (clearly water therapy is out of the question, hello hello aperol spritz). That's the time when this express Sisley Eye Contour Mask comes to the rescue: plant-origin active ingredients such as ginkgo biloba, arnica, horse chestnut, linden blossom, vitamins (B5 and E), and oligo-elements (malachite and chlorella) work wonders. I basically apply a thick layer on the eye contour and eyelids and leave it there for good 10 minutes while I roll from one side of the bed to another. Then I wipe away what's left, take a shower and feel like a human being again. Simply put, this is Zeenat's (Sauce Editor) most favourite cleanser these days. My bad I decided to not test it at first and now there is no chance she would trade it for anything else. Plantae stands for Plant Kingdom in Latin and I truly adore the philosophy of this brand. They call this skincare line an ode to New Zealand and to our flora and fauna. Secret ingredient of Ivy Cleansing Gel (well, kind of secret) is Totoral—an extract from the indigenous tree of New Zealand called Totara. It helps to prevent acne and reduce existing blemishes. Yay to that. Well suited to dry, sensitive skin types. Currently this not-so-little friend of mine is living in my shower, screwing all the competitors it's got. Jokes aside, I love this clean, pure feeling Grapefruit Face Cleanser leaves me with—pretty much like a baby skin. Doesn't matter if it's a foundation only makeup or smokey eyes I'm trying to rinse off—it will all rinse in one go. That price for that quality and that size, oh là là! Available at MECCA, NZ $54. Although The Balm's packaging is everything I don't like in beauty brands due to its lack of aesthetics, I can't neglect how awesome the products are. These little babes are the part of the miniature set of 6 where you can find the most popular shades (they are all so on point). I've had it for a year so far and I have no idea how come I still didn't run out of it. 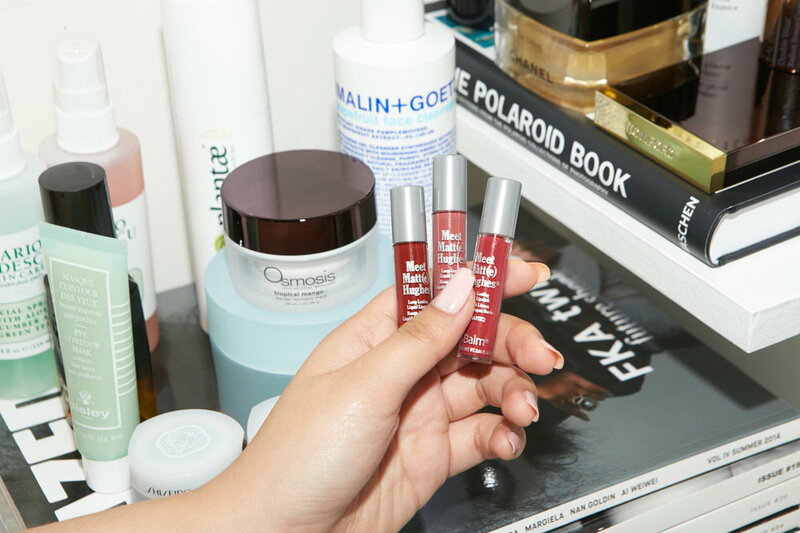 As they are all mattes you don't need to apply too much and what's even more important—you don't need to re-apply it later because it will stick around. The one in Dotting is a heartbreaker and goes especially well with smokey eyes. Oh, I almost forgot to mention the smell. Three words: mint and chocolate cookies (oops, that was four). What a lotion! With a new formula to soften rough and dry patches that are caused by the sun, Shiseido Concentrated Balancing Softener moisturises my face in an instant. It's one of these lotions after which you don't even need to use a cream. Every girl's go-to saviour after sunbathing during the holiday season nonstop. Hokkaido angelica root and sakura leaf extracts are going to be in charge of your healthy and radiant glow. Hello, it's me. I was wondering if after all these years you'd like to meet. Tom Ford Soleil Blanc is the most nostalgic fragrance of mine and I totally love it. It's my number one perfume for the summer season—each one of them in the last couple of years. As soon as the season starts I find it in my drawer and put on top with the most important stuff. And, then it happens, all the memories from previous summers come back to me: good and bad but, of course, mostly amazing. The aroma seems quite simple in the beggining when you're just inroduced to it but then... A door to the whole new universe opens up and you start understanding how complex it is. The top note blends spices: cardamom and pink pepper with a bit of pistachios and bergamot. Then it reveals the heart—a perfect Tom Ford style floral bouquet made of jasmine, tuberose and ylang ylang. Yet show must go on. Only after a wee while the final curtain falls down showing us the base—amber, tonka bean, bitter almonds and, surprisingly, coconut milk. Bravo, Tom Ford, bravo! Available here, NZ $520 for 100ml. Yet another gem of mine that I couldn't keep to myself as there is, I solemnly swear, nothing else like it. When I was in my early teens, I spent a month during summer on an island not far from Madagascar called Zanzibar. There were quite a lot of vanilla plantations and I still remember that scent spreading all over the place. It was nearly 8 years ago, yet every time I apply Chanel Sublimage onto my face I feel like teleportation exists. Again and again I am walking on a wild white sand beach surrounded by palm trees and salty air. 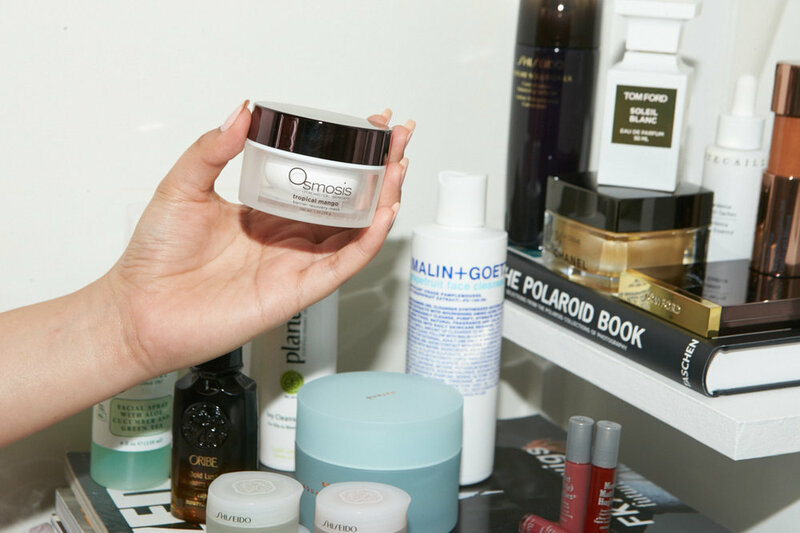 You are probably wondering what this cream does actually... Well, everything. It leaves you with a firm complexion and an uberglow! Available at Chanel store in Britomart. It's now kind of obvious that all the beauty products we rounded up for November and December favourites are what we actually use in these hot days to either survive or make ourselves look fresh and dewy. I brought this almost empty bottle of serum from home because all the pale as a white piece of paper ladies would understand my 'world's biggest problem' when the tan isn't spreading evenly and the neck is always (ALWAYS!) stays a couple of shades lighter than the face itself. Chantecaille - Blanc Gardenia Brightening Essence is so good because it doesn't cause any skin sensitivity or pigmentation yet slightly brightens and moisturises the skin. Approved by me. Whenever the weather is hot, my list of products I use to create everyday beauty looks drastically decreases from full-on makeup to a concealer, liquid bronzer, an eyebrow gel and a tinted lip balm. The Estée Lauder - Double Wear Radiant Bronze Cushion Stick is the dreamiest highlighting bronzer. This beauty product gives the freedom to build a healthy-looking contour and glow. No touch ups for 8 hours. Zeenat swears by this product for a light contouring and bronzing. Tom Ford Eye Color Quad, you beauty. In a shade #04 called Honeymoon, it is so universal that would perfectly suit both types, blondes and brunettes. Even red heads! Gals with blue-ish eyes will only complement the colour meanwhile on others it would look as good as gold. And, this golden packaging, oh my... Tom Ford is something you actually wish to find under the tree or in the stocking. If that didn't come true, head to Smith & Caughey's to get yourself spoilt. P.S. There are 11 more shades (times 4 as they all go in quadruplets). When the PR girls said "crimping is back" and sent as a new styler to test, tbh we were a bit petrified at first. But then Zeenat and I decided to play around with the GHD Contour Professional Crimper while we were on a break between a shoot. Zeenat crimped her fringe and I tried to give myself some extra volume—it was really fun. I probably wouldn't use it in my day-to-day styling (one of the reasons is time—it takes heaps of it) but for parties and other outings I would make my hair look like Beyonce's (a crimped one). Quick tip : This is nifty little product for anyone looking to add volume. Just crimp your hair on the inside. Much more of a reliable alternative to a volumnising mouse. 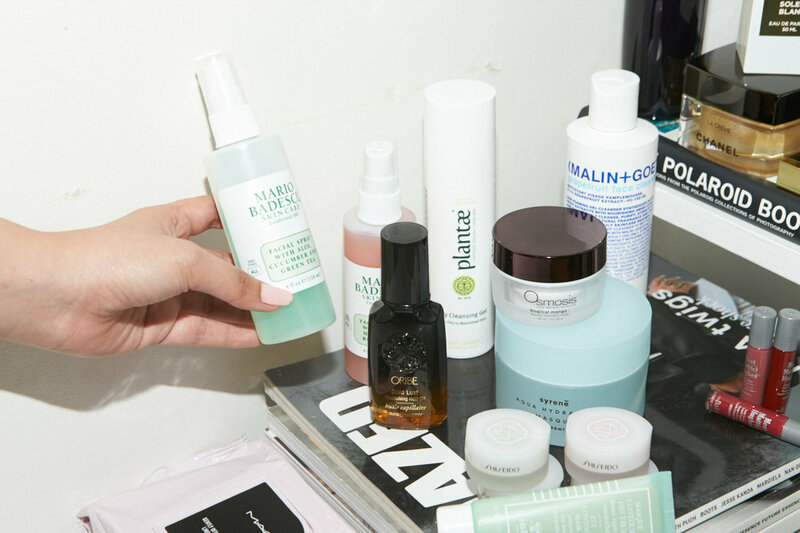 Properly cleansing your skin (sometimes even double cleansing, why not?!) is vital but there are always these days when we just don't have enough time/willpower/facilities to do what it takes to get the squeaky clean skin. For instance, my personal hell—long-haul flights. Do I really need to say more? At all times I was flying from Auckland to Moscow (back and forth) I used to have M.A.C. 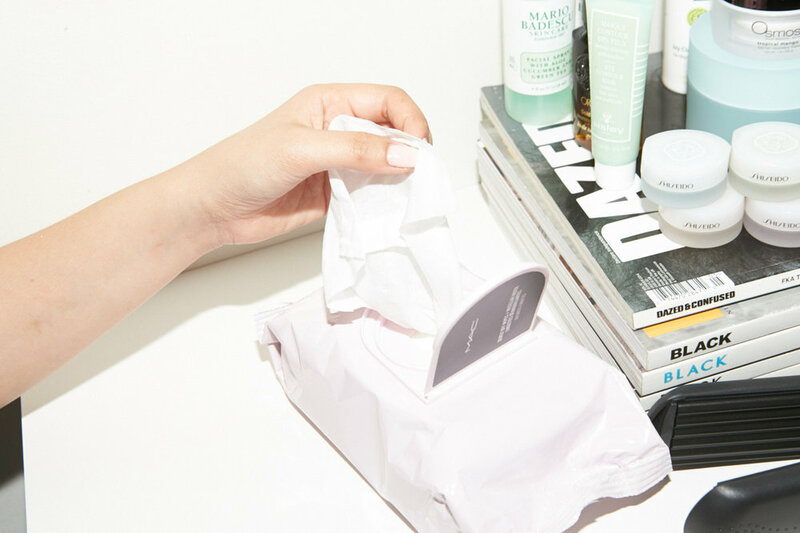 Wipes on me to be able not only to refresh my skin and take my makeup or excess oil off but also to wipe the skin after using masks (whoever said that it's a faux pas was totally wrong—indulging yourself with a face mask on a plane is a must). Now that 2.0 version Gently Off Wipes + Micellar Water is launched I am sold already. I want to use these non-irritating towelettes all the time now: on a road trip to take my sunscreen off, when watching Stranger Things and can't get my lazy bum off the couch, when smoky eyes are on etc. Literally, all the time.